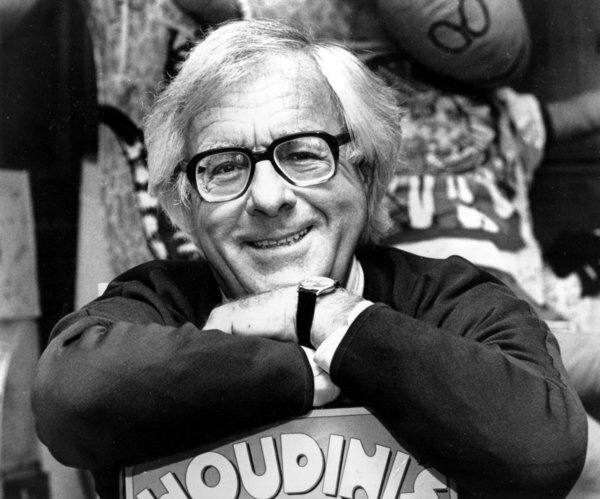 Dreadful Tales is deeply saddened to learn of the passing of literary icon Ray Bradbury. On behalf of all the DT staff, our condolences go out to the family and friends of Mr. Bradbury. Bradbury’s extensive catalogue of mystery, sci-fi, and horror literature has left an indelible mark on the genre, its fans, and authors. There is no doubt his legacy will live on in the spirits of those he influenced, of which there are many, as well as the work he left behind. This entry was posted in Authors, News and tagged R.I.P., Ray Bradbury by We ain't here anymore. Bookmark the permalink.